Humanists of Chico, CA: we need your help fighting a violation of the separation between church and state that is happening right now in your town. Unfortunately, the Chico City Council has a history of asking local religious leaders to deliver a religious invocation as a way of opening up council meetings. Residents have reported that most of these invocations have been predominantly Christian evangelical messages, even though the city of Chico is composed of many Jews, Muslims, Hindus, Buddhists, Sikhs, and people of no religious beliefs. 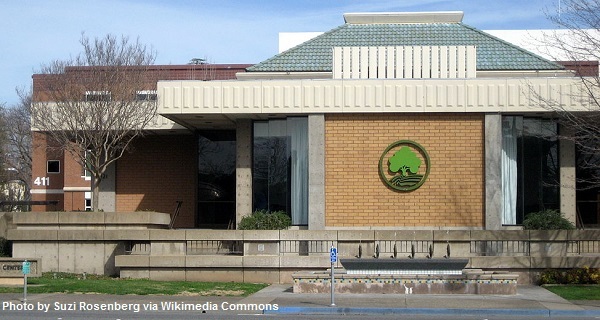 Thankfully the people of Chico have begun to voice their objections to this unconstitutional endorsement of religion by the city council, and a petition was recently created asking the mayor of Chico to order that the practice be stopped. Please help us defend the separation of church and state by signing this petition. We need to show the Chico City Council that their discriminatory endorsement of evangelical Christianity will not be tolerated, and that the citizens of Chico will fight to protect the separation between church and state. Do your part to keep church and state separate by signing the petition. Thank you for fighting with us against government endorsement of religion.